Restoration of our national forests benefits the environment and creates jobs in rural communities. Increasing the pace of restoration of the Nation’s forests is critically needed to address a variety of threats – including fire, climate change, the bark beetle infestation, and others — to the health of our forest ecosystems, watersheds, and forest-dependent communities. 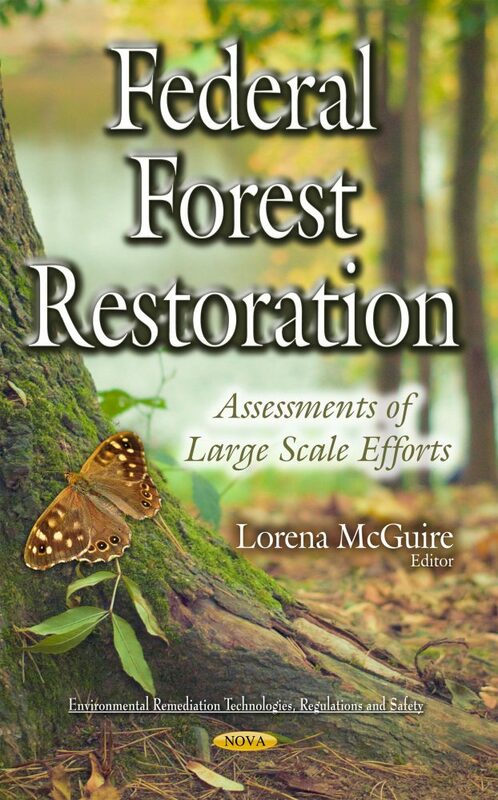 The Forest Service within the Department of Agriculture and the Bureau of Indian Affairs (BIA), Bureau of Land Management (BLM), Fish and Wildlife Service (FWS), and National Park Service (NPS) within the Department of the Interior have increasingly promoted landscape-scale forest restoration as a way to improve forest health. Through landscape-scale projects, agencies can treat tens or hundreds of thousands of acres, in contrast to projects commonly of under 1,000 acres. Such projects must comply with NEPA by assessing the effects of major federal actions that significantly affect the environment. This book examines the number of such projects the agencies have conducted and how they are scoped; the actions taken by agencies to track the projects’ progress; successes and challenges experienced by agencies; and steps taken by agencies to help increase NEPA efficiency for such projects.